Canada PR & Canada Immigration for Skilled Workers is points based. You need to score 67 out of 100 points in factors like age, qualification, work experience, occupation & language. The Canada Immigration Process is simple & straight forward if you meet the eligibility criteria for Canada Points System and your documentation is accurate & complete. Process time for Canada Immigration is generally 6-12 months. PR is granted for applicant, spouse & children. After PR is granted you can sponsor your parents, grandparents, siblings & cousins. The skilled worker category is intended for people with high level of skills and experience which can be economically recognised in Canada. Skilled workers can apply for permanent residency and should qualify based on their education, work experience, knowledge of English and/or French, and other criteria. Canada PR Federal skilled worker visa is designed for professionals with the qualifications, skills or experiences to fill Canada's skill shortages and contribute to the Canadian economy. Applicants for this visa must demonstrate that they meet the minimum visa requirement which includes having work experience; one year of which should be in a designated occupation, a job offer from a Canadian employer, or be a foreign worker or student currently living in Canada. Additionally, applicants are required to meet the points based assessment. The Canada Immigration or Canada PR Skilled Worker Visa point’s selection system requires a pass mark of 67 out of 100 points and is assessed on six main factors including age, education, work experience, language ability, adaptability and arranged employment in canada. 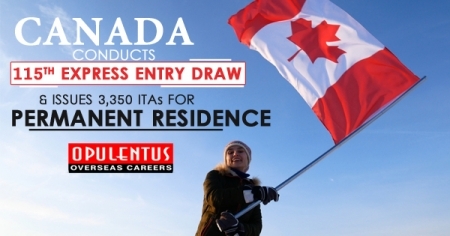 Successful applicants are granted a permanent residence visa and are entitled to live and work in Canada without any restrictions. Meet the minimum language threshold through a designated third-party test. Applicants who have Canadian educational credentials do not need to get an ECA, unless they are also submitting a foreign educational credential in support of their application. The ECA process will help determine if the foreign educational credential is authentic and equivalent to a completed credential in Canada. For prospective applicants, the ECA can provide a realistic understanding of how their foreign educational credentials are likely to be recognized in Canada. The Medical Council of Canada has been designated only for those principal applicants who intend to apply with specialist physician (2011 National Occupation Classification [NOC] code 3111) or general practitioner/family physician (2011 NOC code 3112) as their primary occupation in their FSWP application. Neither NOC code 3111 nor 3112 is on the eligible occupations list that takes effect on May 4, so this will only affect those applying under the PhD stream or with a qualifying job offer based on those NOC codes. Note: CIC will only accept ECA reports issued after the date the organization was designated by CIC to provide ECA reports for immigration purposes (i.e. April 17, 2013). 1. 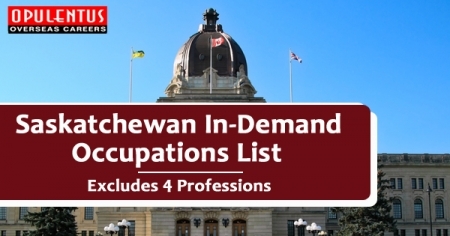 You have at least one year of continuous full time or equivalent paid work experience in the last ten years in at least one of the occupational categories identified in the Ministerial Instructions. If you were a recipient of such an award, you have satisfied the terms/conditions of the award. We offer trustworthy services with a feasible price. At any given time, our state-of-the-art Processing Centre is processing over 5000 active visa application across the world. We have highly skilled counselors to make visa process easy and hassle free. We are not here to provide/guarantee/assure jobs, we do not arrange for any direct employment through employers. 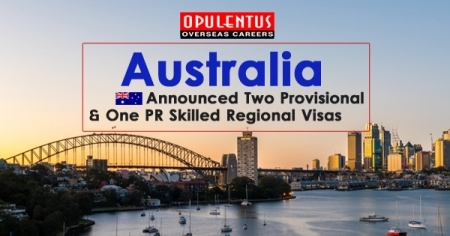 We use technology, resources and our internal expertise to market your resume to overseas workers on your behalf.